February 3, 2017 – Links International Journal of Socialist Renewal – On January 21, in Bilbao’s hyper-modern Euskalduna Conference Centre, the Basque left pro-independence party Sortu concluded its refoundation congress by finalising the election of its 29-member national council. The congress had brought together Sortu members from all parts of the divided Basque Country: its four southern districts in the Spanish state, presently covered by the regional administrations of Navarra and the Basque Autonomous Community (Euskadi) and its three northern districts in the French coastal department of Pyrénées-Atlantiques. Basque independence movement leader Arnaldo Otegi at a welcoming party in his home town of Elgoibar following his release from prison on March 1. March 9, 2016 — Links International Journal of Socialist Renewal — On March 1, all media outlets in the Spanish state were dominated by the images of two men: one was leaving prison near the northern city of Logroño to the cheers of inmates he was leaving behind; the other was trying to convince the Spanish parliament in Madrid to vote him in as prime minister. 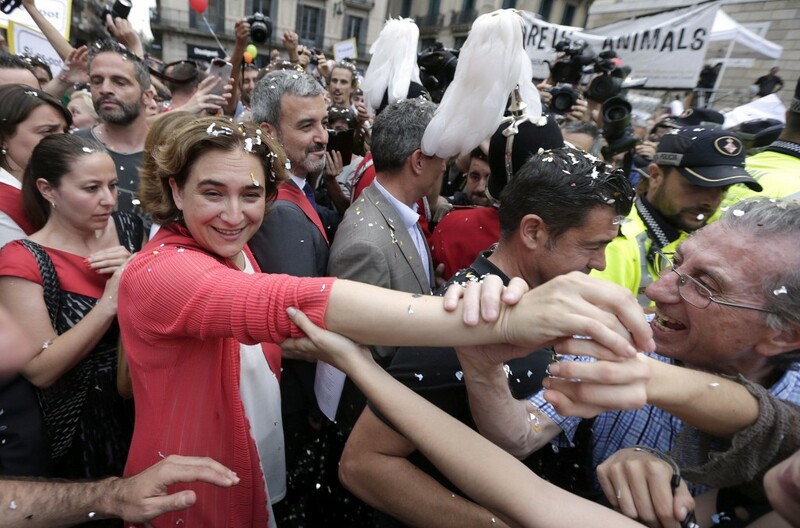 In Barcelona, central St. James Square was packed with chanting, whooping and confetti-throwing supporters of the winning Barcelona Together and its leader, housing rights activist Ada Colau. July 1, 2015 -- Links International Journal of Socialist Renewal -- On Saturday, June 13, the squares in front of scores of town halls across the Spanish state were jam-packed with enthusiastic crowds: tens of thousands were gathering to celebrate the inauguration of the progressive administrations created by the leftward swing in the May 24 local government elections for the country’s 8122 councils. Uxue Barkos, leader of Geroa Bai. June 23, 2015 -- Hintadupfing, posted at Links International Journal of Socialist Renewal with permission -- Regional elections held in Spain on May 24 have installed an historic pro-Basque state government in the autonomous community of Navarre for the first time, bringing to an end 16 years of rule by the pro-Spanish, centre-right Navarrese People's Union (UPN). The UPN won only 15 seats, down four from 2011, while its ally, the right-wing Spanish People’s Party (of Spanish Prime Minister Mariano Rajoy), won two, half of its quota in 2011. 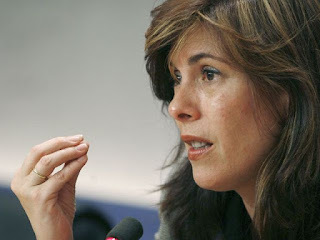 Instead, Uzue Barkos, leader of the pro-Basque coalition Geroa Bai (“Yes to the Future”) – itself a coalition of centre-left Basque nationalist association Zabaltzen and the centre-right Basque Nationalist Party (EAJ-PNV) – approached other pro-Basque parties to negotiate a coalition government after her party won nine seats. June 13, 2015 -- Links International Journal of Socialist Renewal -- It was an historic day in the Basque Country's capital, Iruñea/Pamplona. For the first time a pro-independence left mayor was elected with the support of four progressive and nationalist parties. Euskal Herria Bildu's candidate Joseba Asiron will now form government to run the city for the next four years after 20 years of repressive pro-Spanish right-wing unionist mayors. 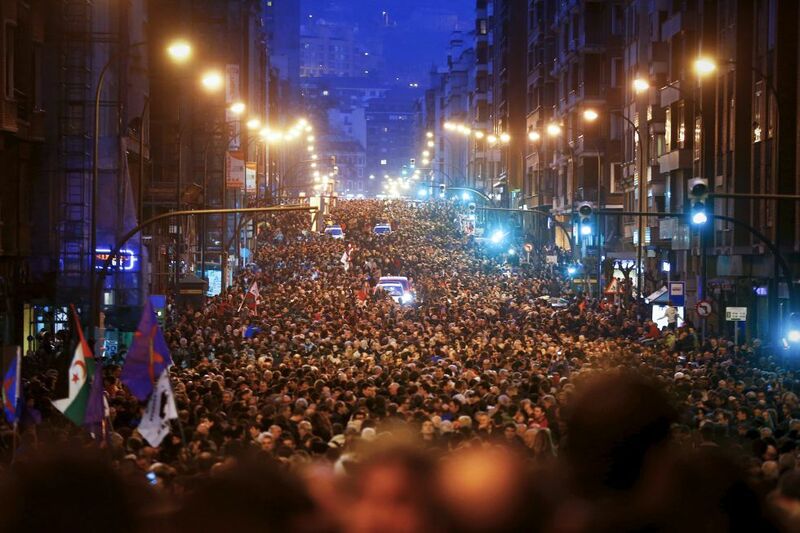 Thousands gathered outside the city hall to celebrate.Thanks to Basque Info. Supporters of the Madrid Now! ticket await the results of the regional and municipal elections in Madrid, May 24, 2015. For more on politics in Spain, click HERE. 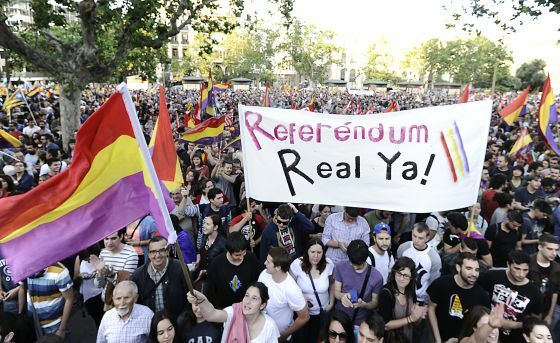 See also Spain: 'Barcelona Together' and the fight for people-first city councils"
May 27, 2015 – Links International Journal of Socialist Renewal -- Once the results of Spain’s May 24 local and regional elections became known the main lesson for the anti-austerity and anti-capitalist left was simply and starkly obvious: the more united and more involving of ordinary people its election campaigns were, the greater its gains and the greater the losses for the Spanish Socialist Workers Party (PSOE)—its main rival for the popular and working-class vote—and for the ruling conservative People’s Party (PP). Where the two main poles of the radical left in the Spanish state—Podemos and the United Left (IU)— managed to merge their forces in projects organised not as alliances between party apparatuses but as participatory citizens’ electoral campaigns, the results were at times little short of astounding. Spanish king abdicates: circuit breaker or fuse igniter? More analysis of politics in the Spanish state. 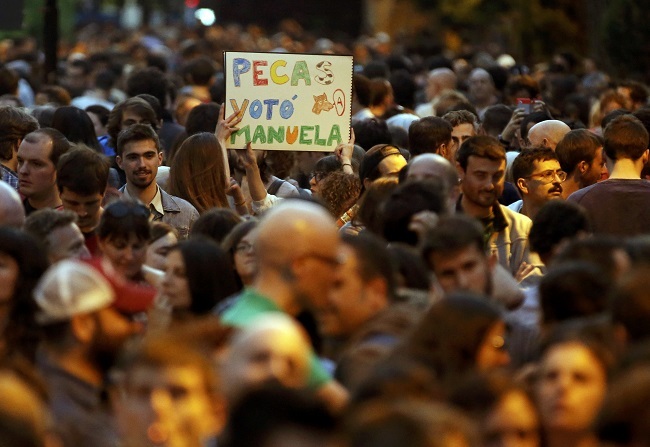 June 9, 2014 – Links International Journal of Socialist Renewal, an earlier version of this article appeared at Green Left Weekly -- On Monday, June 2, as news spread of the abdication of the Spanish king, Juan Carlos of Borbon, a strange rustling sound could be heard across Barcelona. Hard to work out at first, it soon became clear what it was. It was the city—the capital of Catalonia—laughing. March 10. 2014 -- Green Left Weekly -- The Spanish government’s response to the move by armed Basque pro-independence organisation Basque Homeland and Freedom (ETA) to put its weapons beyond use has clearly demonstrated it favours continuing conflict over peace. March 4, 2014 -- Links International Journal of Socialist Renewal -- Speech by Florian Wilde, of Germany's radical left party Die Linke, at the March 1 "Fight the Troika" meeting in Bilbao. It was held the day before a meeting of the European Commission summit on the Spanish economy. January 19, 2014 – Links International Journal of Socialist Renewal -- For decades the People’s Party (PP) of Spanish Prime Minister Mariano Rajoy has believed it has a reliable gun in its political holster—unbending opposition to anything that could be portrayed as linked to Basque Homeland and Freedom (ETA), the left-nationalist armed organisation responsible for more than 800 deaths in its 50-year-long fight against the Spanish state. However, since ETA’s declaration two years ago of a permanent ceasefire, this particular weapon has started to backfire on the Spanish state’s ruling conservative party. For more coverage of the Basque struggle, click HERE. For more on Spain, click HERE. March 5, 2013 – Links International Journal of Socialist Renewal -- Nearly 10 years after the Spanish high court outlawed its previous political organisations, Basque left nationalism has finally given birth to a new legal party—Sortu (“to create” or “to be born” in Basque). The new arrival is a powerful progressive force for Basque independence—socialist, feminist, ecologically aware and staunchly internationalist. Its goal is an independent socialist Basque-speaking state that unites the three northern Basque regions in the French department of Pyrenees Atlantiques with the four southern Basque regions covering Navarra and Euskadi (the Basque Autonomous Community) in the Spanish state. February 18, 2013 – Links International Journal of Socialist Renewal -- Oskar Matute (pictured above) was elected to the Basque parliament in the election of October 21, 2012, as a candidate for Euskal Herria Bildu (EH Bildu, Basque Country Reunification). He was previously a member of parliament from 2002-2009 with Ezker Batua-Berdeak, a united-left grouping. His is spokesperson for Alternativa, one of the founding members of the EH Bildu coalition, which has achieved spectacular electoral results since its legalisation in May 2011. EH Bildu won 25% of the popular vote in the October 2012 Basque election -- capturing 21 out of 75 seats. Tristan Parish and Rachel Evans spoke to Oskar Matute about EH Bildu and the Basque battle for independence, dignity and socialism. 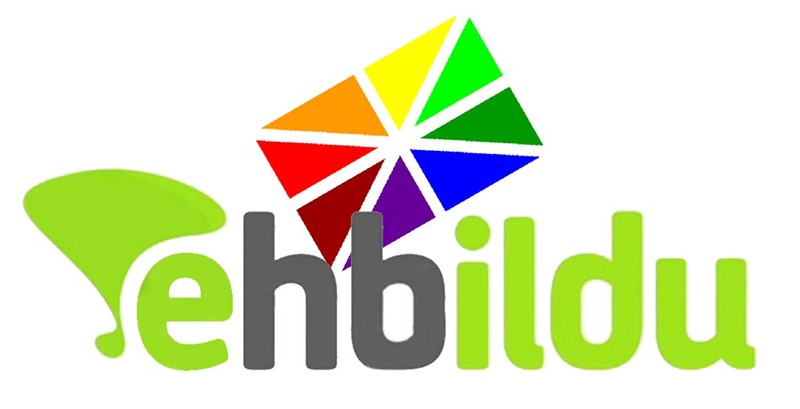 How did EH Bildu form and why did it achieve such good results?